Video Poker in New York State: Beware! Video poker machines at many New York casinos are Class II machines - meaning the outcome is determined completely by chance! Stick with Class III machines. My girlfriend and I like to go to the casino to play the slots! 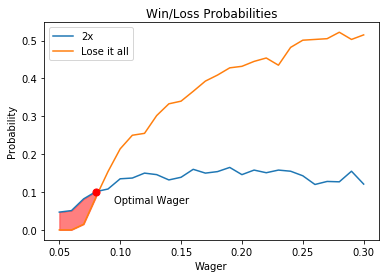 This got me curious about the best wagers to place on different types of games. We explore the definition of chaos in the context of discrete dynamical systems, with a mix of formal math and informal observations.